'Praying the Rosary with Mother Teresa of Calcutta’ With her inspired quotes she shares with us wisdom on current issues Christians face today. 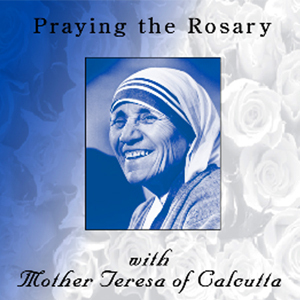 This CD set walks you through the full 20 decade rosary with 200 quotes and short reflections of St. Teresa of Calcutta while you seek the intercession of Mary. Discovering The Mass in Scripture: A Biblical Walk Through the Liturgy.